Taffeta Stash Bag Giveaway Here! 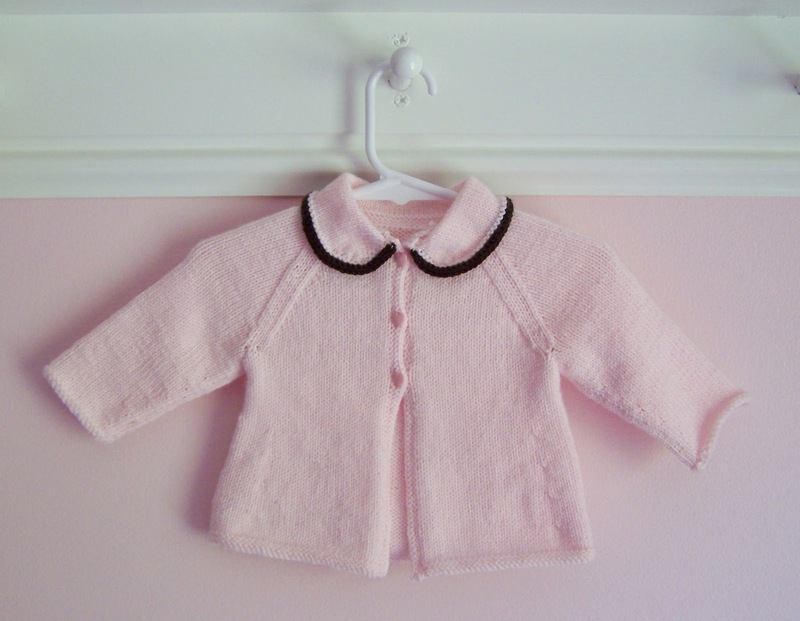 This darling little sweater is for the newest family member that is expected any day now. My nephew and his wife are expecting their first and it’s supposed to be a little girl! I knit the A-Line Cardigan pattern from the book “Design It, Knit It; Babies” by Debbie Bliss. There is a similar Debbie Bliss pattern in a Vogue Knitting Magazine, I believe. I could look through Debbie Bliss books for hours. Her designs are classic. 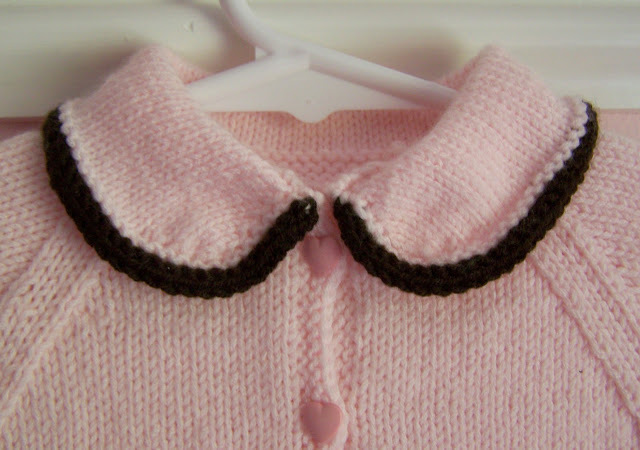 I love how the brown edging on the collar updates a classic to give it a modern feel. The complete project details are on my Ravelry page. 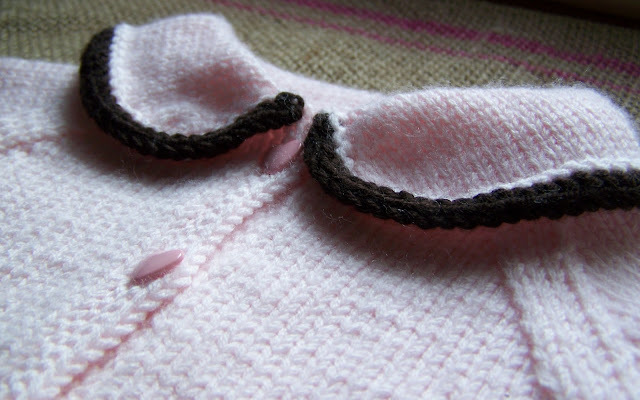 I liked how the collar was knit. I don’t have enough experience to knit a collar without exact instructions. 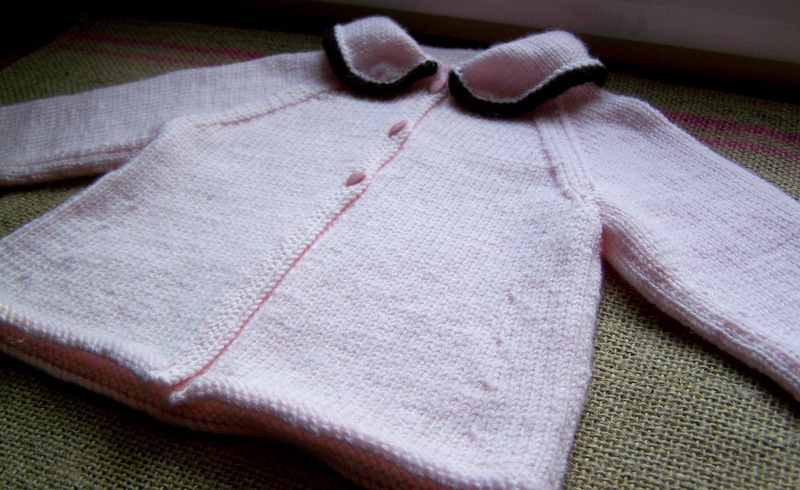 The sweater was knit in pieces and there was quite a bit of sewing up and weaving in ends. 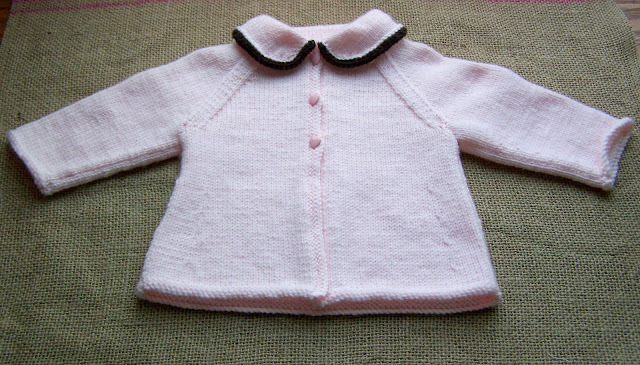 I really could have used my Sweater Wizard software to knit this top down and finishing would have been a lot easier. Do any of you have Sweater Wizard? I love it! That is gorgeous, what a lucky baby girl! Oh my gosh, Jane, that sweater is gorgeous!!! I want to knit one, too. It looks fantastic. That brown collar is really fetching! I’ll have to remember that for my next baby sweater.